Some of the health benefits of sunflower oil include its ability to improve heart health, boost energy, strengthen the immune system, improve your skin health, prevent cancer, lower cholesterol, protect against asthma, and reduce inflammation. Although most people are already familiar with sunflowers, those vibrant beautiful flowers that can be found all over the world, many people don’t immediately think of sunflowers as sources of an extremely healthy vegetable oil that can replace some of the less healthy cooking oils on the market. 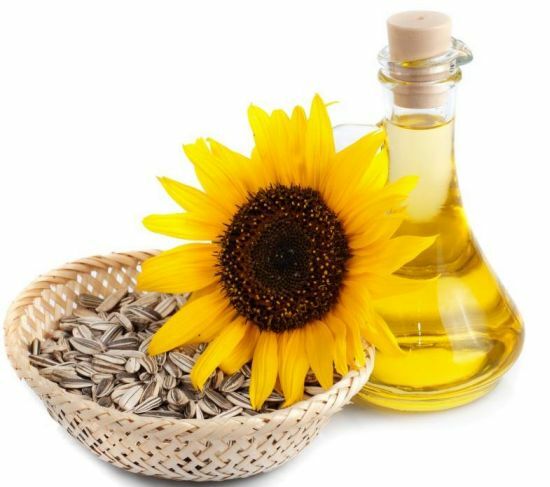 Sunflower oil is also used in certain cosmetic applications, for reasons which we will explore later in this article. Sunflower oil is a non-volatile oil that can be extracted from sunflowers relatively easily. The main producers of sunflower oil are Russia, Ukraine, and Argentina, but it is used throughout the world in various cuisines. One of the primary reasons for the growing popularity of sunflower oil is its impressive fatty acid content, which includes palmitic acid, stearic acid, oleic acid, and linoleic acid. The combination of fatty acids in the body are extremely important to maintain various elements of human health, and sunflower oil can help maintain that balance. Furthermore, some of those fatty acids, as well as vitamin E and other organic compounds, act as antioxidants in sunflower oil, meaning that they can positively affect a huge range of conditions that people regularly suffer from. It also has more polyunsaturated fats than any other commonly used vegetable oil, and with the recent craze of eating healthy and searching for alternative options, sunflower oil is becoming quite desirable on the international market! Now, let’s explore the fascinating health benefits of sunflower oil in a bit more detail.